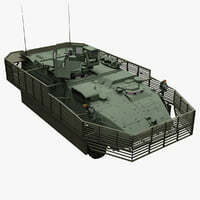 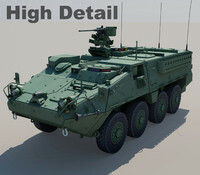 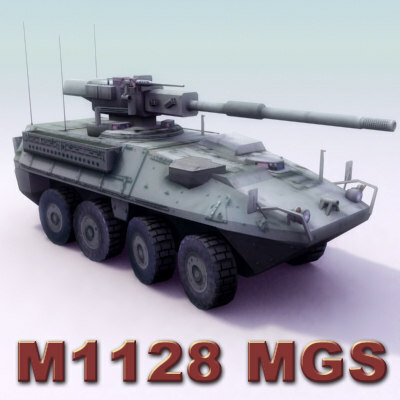 High detail low-impact model of a M1128 Stryker Mobile Gun System, USArmy colour scheme. 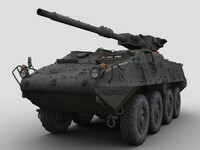 1024x1024 texture. 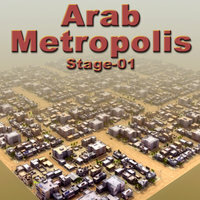 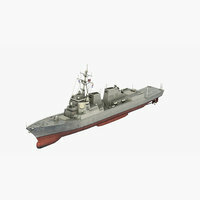 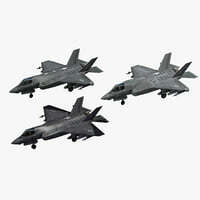 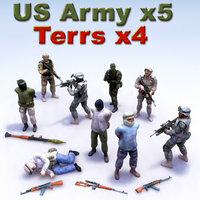 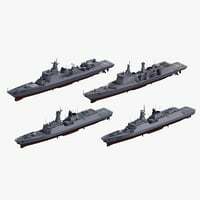 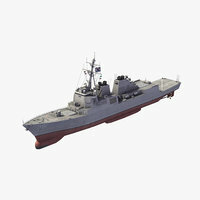 Part of a huge military collection available from ES3DStudios. 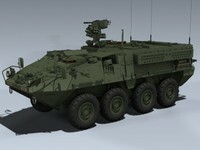 The Stryker is a family of eight-wheeled all-wheel-drive armored combat vehicles produced by GD Combat Systems, in use by the US Army. 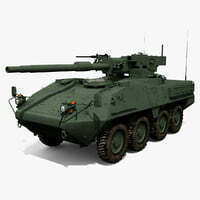 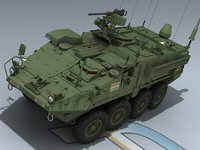 Based on the Canadian LAV III light-armored vehicle, which in turn is based on the Swiss Mowag Piranha, the Stryker is the Army's first new vehicle since the M2 Bradley in the 1980s.